“Passionate” (Sole 24 Ore), “Convincing” (American Record Guide), “Rich in personality”(Diapason). 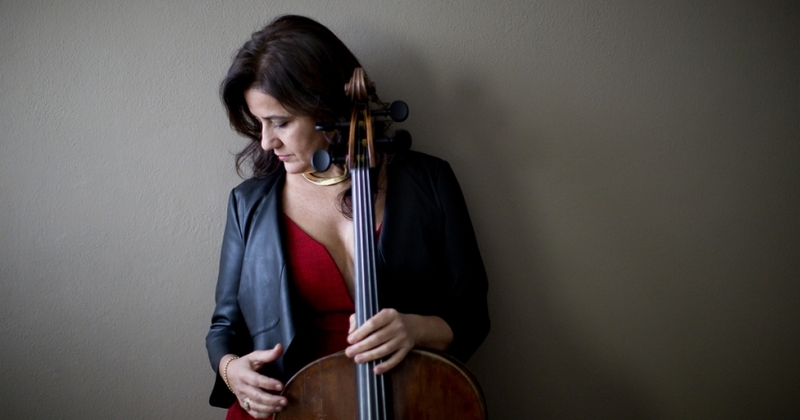 Cellist Silvia Chiesa has conquered public and critics thanks to a brilliant solo career that has made her one of the best loved performers of her kind, touring regularly Europe, and also China, United States, Australia, Africa and Russia. Her artistic journey is defined by the originality and the wide range of its repertoire, which includes lesser known or unjustly forgotten music and composers. A case in point is the felicitous rediscovery of two obscure masterpieces by Nino Rota: the two Cello Concertos, which she recorded with the Orchestra Nazionale della Rai di Torino, conducted by Corrado Rovaris. Published in 2011 by Sony Classical, the CD was reviewed enthusiastically in the Italian and international press. The Milanese cellist should be also credited with an important contribution to the contemporary repertoire for her instrument. It is not a coincidence that the Concerto per violoncello e orchestra by Matteo D’Amico is dedicated to her, and she also gave the Italian premiere of works by Gil Shohat, Nicola Campogrande, Aldo Clementi, Michele Dall’Ongaro, Peter Maxwell Davies and Giovanni Sollima. In 2005 she founded a Duo with pianist Maurizio Baglini, which has been applauded on international stages, such as Accademia Nazionale di Santa Cecilia in Rome, Salle Gaveau in Paris, Oriental Art Center in Shanghai, Sala Cecilia Meireles in Rio de Janeiro and Victoria Hall in Geneva, not to mention Lebanon, Russia, Brazil, Belgium, Iceland, Israel and Australia. The Suite per violoncello e pianoforte by Corghi (recorded, together with music by Chopin and Debussy, for the label Concerto), a Sonata by Gianluca Cascioli and 150 Decibel by Nicola Campogrande are dedicated to the Duo. Their discography also includes the whole cello and piano works by Saint-Saëns, in a CD issued with the magazine Amadeus, and Cello Sonatas for Decca (2011), with the cello sonatas by Brahms and the “Arpeggione” by Schubert. Even the début of the special Trio she formed together with violinist Francesca Dego and pianist Mariangela Vacatello (Amiata Piano Festival, Fazioli Concert Hall, Società Filarmonica di Trento) was a success. As a soloist she has worked with conductors such as Luciano Acocella, Paolo Arrivabeni, Gürer Aykal, Giampaolo Bisanti, Massimiliano Caldi, Tito Ceccherini, Daniele Gatti, Cristian Orosanu, Corrado Rovaris, Daniele Rustioni, Howard Shelley and Brian Wright. She has also recorded live for television and radio, on Rai Radio3, Rai Sat, France Musique and France 3. Her last CD is dedicated to the Italian music from the early 20th century and includes the first recording of the Cello Concert in C minor by Ildebrando Pizzetti, with the the Orchestra Nazionale Rai di Torino conducted by Rovaris (Sony Classical). In November 2015 she gave world premiere of …tra la Carne e il Cielo for concertante cello by Azio Corghi (dedicated to her and inspired by Italian poet Pier Paolo Pasolini) at the Teatro Comunale di Pordenone, with Maurizio Baglini, Omero Antonutti, Valentina Coladonato and the Orchestra Nazionale Rai di Torino conducted by Tito Ceccherini. In April 2016 Decca will release her new CD with Maurizio Baglini with the complete works for cello and piano duo by Rachmaninov. She is artist in residence for the international chamber music “Amiata Piano Festival”. She plays a cello by Giovanni Grancino from 1697.